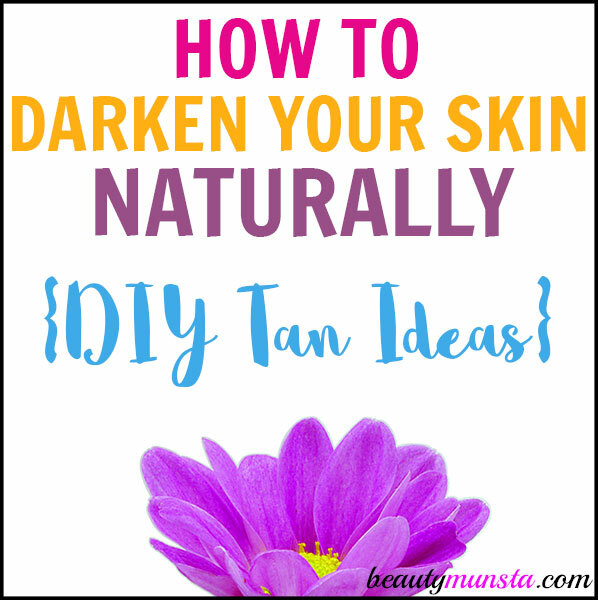 How to Darken Your Skin Naturally (DIY Tan Ideas!) - beautymunsta - free natural beauty hacks and more! Are you wondering how to darken your skin without toxic tanning products or scary tanning beds? 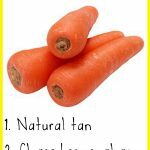 Here are some great natural solutions to soaking up a lovely tan shade for your skin! Most of us abhor pale skin. It can make you look ghastly and ill. A bit of healthy color or a sun-kissed glow is all the rave right now! Sadly, most of us resort to tanning beds or spray tan and other tanning products, which can come with negative side effects! Brace yourself because this article will show you how to darken your skin naturally! Not a fan of carrots, tomatoes or veggies in general? Not to worry! Supplements are your solution! High quality vitamins containing beta carotene can help you achieve a natural dark complexion. Find a good beta carotene supplement here. It doesn’t get any easier than this! Sunshine is your number one friend when it comes to darkening the skin naturally. When sunlight hits your skin, it causes your skin cells to produce melanin. And the more melanin you have, the darker your skin is. Just make sure to wear suitable SPF to prevent sun burns. Sun before 11am and after 4pm is best for safe skin tanning. 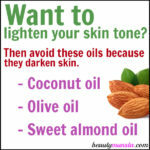 Use Oils to Darken Your Skin! 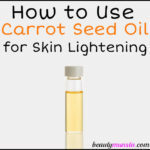 You can apply these oils directly onto your skin as they are. Or you could mix in some heavenly-scented essential oils like Rose Otto or Lavender to make a lovely product. 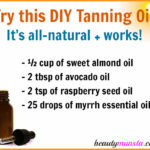 Apply these oils in the day time, or while tanning to speed up the tanning process. Begin by preparing your black tea. It has to be strong so use 3 – 4 tea bags. Bring ½ a cup of water to a boil and steep your tea bags in the water for about 15 minutes. Allow your tea to cool down. Now blend your black tea, aloe vera gel and emu oil in a blender until you create a smooth mixture. Apply this tanning oil onto your skin right before you step out into the sun or while tanning. It’s totally natural and safe so you don’t have to worry about toxins and harmful ingredients! 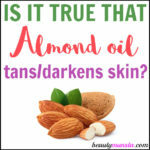 If you don’t have access to emu oil, use other oils to darken your skin like sweet almond oil. Keep in mind that emu oil has been proven to increase skin pigmentation and darken the skin, so it’s worth the trouble to get some emu oil for best results! Darkening your skin naturally is no easy feat, but it isn’t impossible either. Using most of the ideas above, you can darken your skin within a few weeks. Remember, the shade of your skin doesn’t matter! It’s the health of your skin that counts! So put in more effort in keeping your skin hydrated, moisturized and cleansed for that youthful, supple look!